Bethany (Carlson) Swann is a creative writer who teaches college courses in literature and composition in Connecticut. She holds master’s degrees from Yale Divinity School and Indiana University. In addition to being a Kundiman fellow and the regional chair of Kundiman Northeast, she is a fellow of the Lilly Graduate Fellows Program in Humanities & the Arts. Her chapbook DIADEM ME was published by Miel Press (2013). Sejal Shah is the author of Everything Needs to Be Said, a finalist for the 2017 Mary McCarthy Prize, and Things People Say, a finalist for the 2017 Cleveland State University Poetry Center’s Essay Collection Prize. Her work has appeared in Brevity; Conjunctions; Kenyon Review Online; The Literary Review; The Margins; The Rumpus; Under Her Skin: How Girls Experience Race in America (Seal Press), among others. Sejal is the recipient of a 2018 NYFA/NYSCA Fellowship in Fiction and residencies from The Anderson Center, Blue Mountain Center, Kundiman, the Millay Colony for the Arts, New York University, and the Ragdale Foundation, among others. Sejal holds a BA in English from Wellesley College and an MFA in English from the University of Massachusetts at Amherst. The daughter of Gujarati parents who emigrated from India and Kenya to the U.S., Sejal grew up in Rochester, New York, where she currently lives. Shamala Gallagher is the author of the chapbook I Learned the Language of Barbs and Sparks No One Spoke. Her recent work appears in Poetry, Poetry Northwest, Gulf Coast, Black Warrior Review, The Missouri Review, Verse Daily, Poetry Daily, Copper Nickel, West Branch, The Offing, and The Rumpus, among other journals, as well as in the anthologies Completely Mixed Up: Mixed Heritage Asian North American Writing and Art (2015) and Bettering American Poetry vol. 2 (2018). She holds a BA from Stanford University and an MFA from the Michener Center for Writers at the University of Texas-Austin, and she has received fellowships from Kundiman, Virginia Center for the Creative Arts, Vermont Studio Center, and the New York State Summer Writers Institute. Shamala currently teaches creative and critical writing at the University of Georgia in Athens, where she's pursuing a PhD in English. Tiana Nobile is a recipient of a 2017 Rona Jaffe Foundation Writer's Award, the Lucy Grealy Prize for Poetry, and a fellowship from Kundiman. A finalist of the National Poetry Series and Kundiman Poetry Prize, she is a Pushcart Prize nominee and the author of the chapbook, The Spirit of the Staircase (2017). Her poetry has appeared or is forthcoming in Poetry Northwest, The New Republic, Guernica, and the Texas Review, among others. She lives in New Orleans, Louisiana. Jane Lin is a poet and software engineer for an environmental consulting company. She received her BA and BS from Stanford University and her MFA from New York University, where she was a New York Times fellow. Her poems have appeared in Cura, Five Points, jmww, New Madrid, Slant, Spoon River Poetry Review, The Collagist, The Harwood Poetry Anthology, and The Mas Tequila Review. Jane’s honors include fellowships from Kundiman, Bread Loaf Writers’ Conference and Taos Summer Writers’ Conference. Her debut poetry collection, Day of Clean Brightness (3: A Taos Press) was a finalist for the Kundiman Poetry Prize and the New Mexico-Arizona Book Award in Poetry, and semi-finalist for the Crab Orchard Review First Book Award. Jane facilitated the monthly Poetry Gatherings at Mesa Public Library in Los Alamos, NM for over a decade. She also taught poetry workshops at UNM-Los Alamos from 2000-2011. Neil Aitken is the author of Babbage’s Dream (Sundress 2017), The Lost Country of Sight (Anhinga 2008), winner of the Philip Levine Prize, and Leviathan (Hyacinth Girl Press 2016), an Elgin Prize winner. He is the founding editor of Boxcar Poetry Review, curator of Have Book Will Travel, and host of the podcast series, The Lit Fantastic. Neil’s co-translations appear in The Book of Cranes: Selected Poems of Zang Di, 1984-2015 (Vagabond AU 2015), and New Cathay: Contemporary Chinese Poetry, 1990-2012 (Tupelo 2013). He was awarded the DJS Translation Prize in 2011. He holds a PhD in Literature & Creative Writing from the University of Southern California and an MFA in Creative Writing from UC Riverside. Neil lives outside of Portland, Oregon where he serves as a board member of Poetry East West and on advisory committees for the Portland Book Festival and the East Portland Arts & Literary Festival. Jordan Alam is a queer Bangladeshi-American writer, performer, and social change educator based out of Seattle. Her work engages with moments of rupture and transformation in the lives of people on the margins. Jordan’s work is heavily engaged in community and she is a current Kundiman Pacific Northwest co-chair. Her short stories and articles have appeared in The Atlantic, CultureStrike Magazine, The Rumpus, and AAWW’s The Margins; she has spoken at events including the Aspen Ideas Festival and the Eyes on Bangladesh exhibition. She is also the founder of the Asian American social justice publication, Project As[I]Am. Most recently, she has been creating collaborative performance pieces about stories of the body through a fellowship with Town Hall Seattle and editing a draft of her debut novel. Shankar Narayan explores identity, power, mythology, and technology in a world where the body is flung across borders yet possesses unrivaled power to transcend them. Shankar is a three-time Pushcart Prize nominee, winner of the 2017 Flyway Sweet Corn Poetry Prize, and has been a fellow at Kundiman and at Hugo House. He is a 4Culture grant recipient for Claiming Space, a project to lift the voices of writers of color, and his chapbook, Postcards From the New World, won the Paper Nautilus Debut Series chapbook prize. Shankar draws strength from his global upbringing and from his work as a civil rights attorney for the ACLU. In Seattle, he awakens to the wonders of Cascadia every day, but his heart yearns east to his other hometown, Delhi. Michelle Lin is a poet, community arts organizer, and author of A House Made of Water (Sibling Rivalry Press, 2017), an examination of sisterhood, the cycles of trauma, and survival. 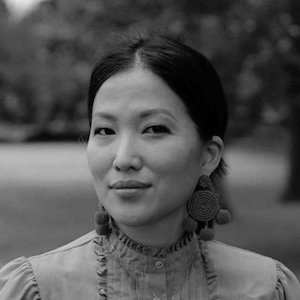 Most recently, she has taught or performed at the United States of Asian America Festival, Lamba Lit Fest, and Asian American Writer’s Workshop. She is the co-organizer for "KSW Presents," Kearny Street Workshop's reading series that centers Asian Pacific American writers and writers of color. Michelle works as the grassroots fundraising manager for RYSE Center in Richmond, California, a liberatory safe(r) space for youth of color. She studied poetry at UC Riverside and received her MFA from the University of Pittsburgh. Recent work can be found in Underblong, The Margins, The Wanderer, and HEArt. Nay Saysourinho is the inaugural recipient of the Adina Talve-Goodman Fellowship from One Story Magazine. She is also a Kundiman Fellow, a San Francisco Writers’ Grotto Fellow and a Tin House Summer Workshop alumna. She reads fiction/non-fiction for Pank Magazine. The daughter of Lao refugees who immigrated to Montréal in the late 70's, she currently resides in the Bay Area and is working on her first novel. Her writing can be found in The Funambulist Magazine and The Margins. Jean Chen Ho is a writer in Los Angeles. She was born in Taiwan and grew up in southern California. She is a doctoral candidate in Creative Writing and Literature at the University of Southern California, where she is a Dornsife Fellow in fiction. She has an MFA from the University of Nevada, Las Vegas. Jean has also been awarded fellowships from MacDowell Colony, Vermont Studio Center, the Mastheads Residency, Napa Valley Writers’ Conference, VONA, Kundiman, Squaw Valley Community of Writers, and Bread Loaf. She has been a finalist for numerous literary prizes and was awarded a Distinguished Scholar Award by the USC Asian Pacific Alumni Association. At work on a linked story collection and a novel, Jean is represented by Ayesha Pande Literary. Kenji C. Liu (劉謙司) is author of Monsters I Have Been (Alice James Books, 2019), and Map of an Onion, national winner of the 2015 Hillary Gravendyk Poetry Prize. His poetry can be found in magazines, anthologies, chapbooks, and journals, including American Poetry Review, Anomaly, Action Yes!, and The Feminist Wire. An alumnus of Kundiman, VONA/Voices, Djerassi Resident Artist Program, and the Community of Writers, he lives in Los Angeles. Adrian Khactu is Kundiman’s Hawaii Regional Chair and teaches high school English at ‘Iolani School in Honolulu, Hawaiʻi, where he specializes in race and comparative American literatures. He holds creative writing degrees from Stanford and Temple Universities. His work has won the Richard Moyer Prize in Fiction, the Academy of American Poets’ William Carlos Williams Prize, the Atlantic Monthly Student Writing Contest, and the Ezra Pound Prize in Literary Translation, as well as writing fellowships from Kundiman, VONA, Iowa Writers’ Summer Workshop, and Vermont Studio Center.